Winter for me is all about telly. I quite like hibernating especially after Christmas when all the festivities are over and the fairy lights are down. Snuggling up on the sofa with a blanket, cup of tea and shutting the cold, dark world out. The OLED televisions by Panasonic offer ultra-powerful Studio Colour with a sleek design to deliver pictures that represent the filmmaker’s vision more accurately than any of their TVs before. If you love films or just TV in general and are after a late Christmas present then this might just be for you. If you would like to know more about the next generation OLED televisions then click here. As I said Winter and TV go hand in hand for me and I have recently been obsessed with Luther and binge watched from series 1 on Netflix over the last few weeks. I quite often find that I don’t get into a series until later than everyone else but obviously Netflix, BBC iplayer, ITV player etc let you watch on demand when you want. I was a little disappointed with series 5 of Luther. It was far too much Luther/George/Alice and not enough actual police investigating stuff. I'm still bereft by the departure of DS Ripley and series 1 was definitely the best for me. Another series I love and frequently binge watch is RuPaul's Drag Race. Series 2 to 7 did disappear from Netflix but on 3rd November they all reappeared! Hallelujah. I therefore have hours and hours to get me through to spring/summer as I was late to the Ru Paul party and have only watched 3 series. I've heard loads of good things about You but haven't watched it yet. Have you? (pardon the pun!) Is it worth getting into? Also, Black Mirror but I’m not sure if that’s a little bit too out there for me. What is your binge watch go to? Disclaimer: This is a paid collaboration with Panasonic OLED televisions. The Disneyland Paris for Brits Facebook group is amazing and virtually every question I've pondered was answered by some kind soul. 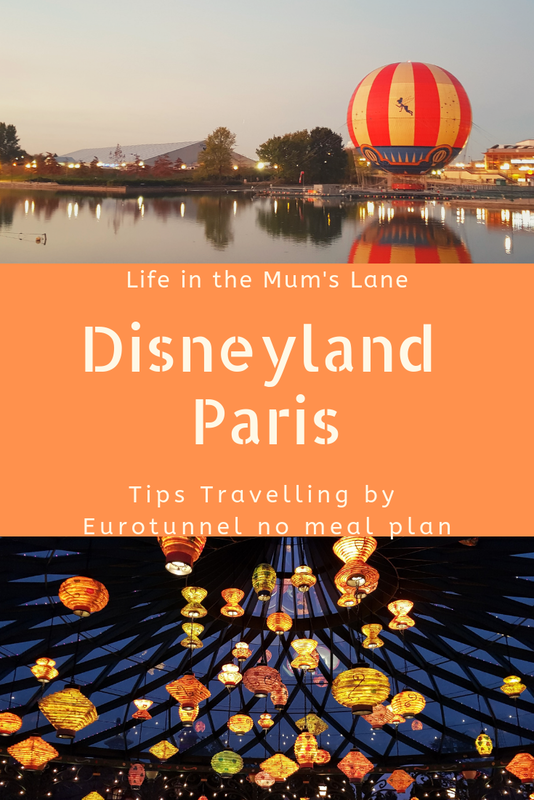 However the precise planning of some did make me have a mini panic attack so these Disneyland Paris tips are for the Eurotunnel no meal plan, winging it families like us! If you want to meet characters and eat at specific restaurants you must book/plan but my children aren't interested in meet & greets so we went pretty free & easy apart from Buffalo Bill's which we did prebook. 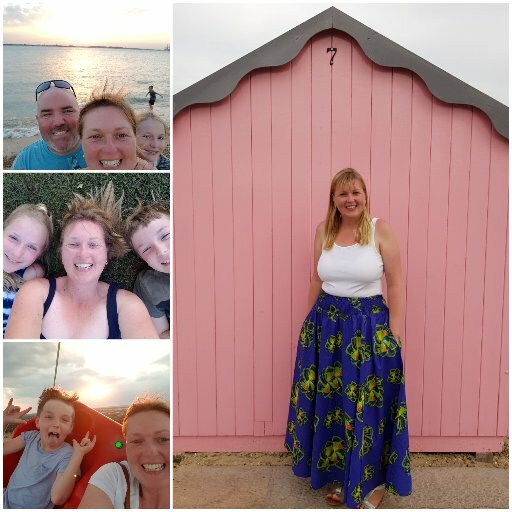 We travelled by Eurotunnel and anyone panicking about driving really don't. It is very straight forward from Calais. A26, A1, A104 and A4. The last part is fully signposted. The motorways were much clearer than England and speed limit in places was 130kph which is 80mph. It took approx 3 hours. Whilst driving we listened to Skyrock which alternated between a French song and English - beware though they do not edit out swear words! One song came on frequently and we learned where to turn the volume down briefly. Luckily the kids watched a DVD for half of the journey so weren't even listening much. Toll was €18.80 there and €22.10 back. Large gap between tolls so don't worry you haven't missed it. We stayed at Cheyenne texas stowaway room. It was smaller than expected but we were rarely in it. As others have said no kettle or fridge. 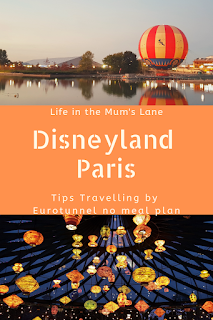 We did pop to Val de Europe (10 minute drive away) once and had a cheaper lunch and got a few bits in Auchan (Supermarket) but with no fridge the food shop limited. We did get 5 croissants & 5 pain au chocolat for €4.50 which did 2 breakfasts on the go. 12 small bottles of water was €2.04. There was a massive Primark if anyone wants a cheap Disney jumper or ears. Cheyenne has a general store but very expensive. An idea on prices Vittel water/Coke/Sprite €3.69 and Kronenbourg can €4.99 and packet of sweets €3.99. A shuttle bus is provided from Cheyenne and drops you by the station and you then pass through security but we preferred walking. It was nice to have a little peace and the walk past the lake and Disney balloon was lovely. Now to the park. Use your extra magic time. 8.30am the park opens for hotel guests. Do plan this as can take time to get through the security and park entrance. Depending on age of children Fantasyland is good and can get 5 rides done very quickly. We headed straight to Buzz twice (kids favourite ride) and Ratatouille once. Queues minimal. Unfortunately Crush's Coaster broke whilst we were in the queue and although magic time and initially small queue ended up in it for over 90 minutes! Crush's Coaster was a wierd one for us. I thought you would be in a blue underwater scene with turtles swimming about and maybe a little splash. However it is mostly VERY dark and quite loud. 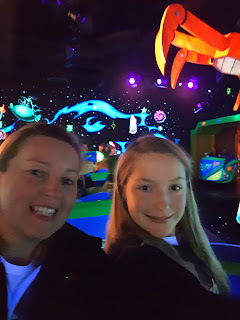 My 8 year old HATED it and cried - not quite such a magic time. Just a warning for others. Stitch Live was a surprise big hit as was the Studio tram tour. The stunt show was fab, make sure you arrive on time as we got there late on 1st attempt and weren't allowed in. Buffalo Bill's was brilliant and our whole family loved it, the food was pretty good too and we were all full. No need to arrive an hour early though 30 mins will be fine. We also ate dinner at Annette's and Rainforest Cafe (walk in no booking required) both were nice. Fueute del Oro in Frontierland was good for lunch and brilliant Coco decorations as we were there during Halloween. Obviously the parades and special shows will change depending on the season. Always check the times. The hotel should give you a leaflet with them all on. Take comfy shoes, be patient and most importantly have an amazing time. If you travel during the winter months do take plenty of warm clothes. Layers are probably best and it gets very cold queuing especially for little ones. Hope this helps some of you. Happy Disneyland Paris holiday. We have been twice now and I thought that would do but I would happily go a 3rd time.